You can move the blue line by moving either of the green points. 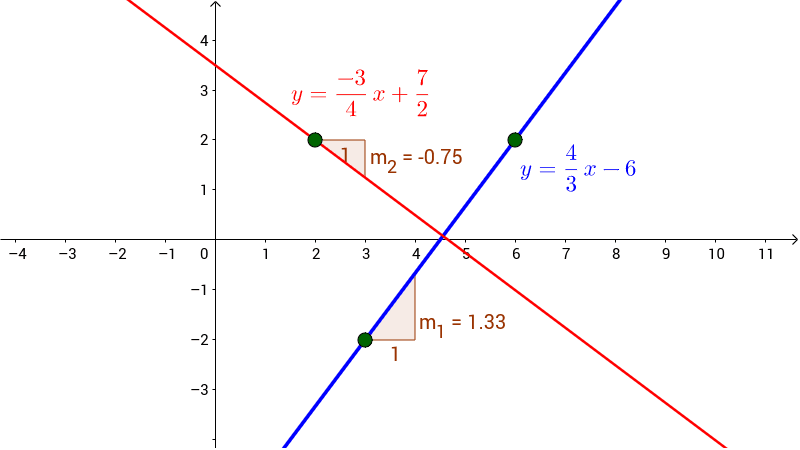 The red line is perpendicular to the blue line. What do you notice about the gradients of the perpendicular lines?